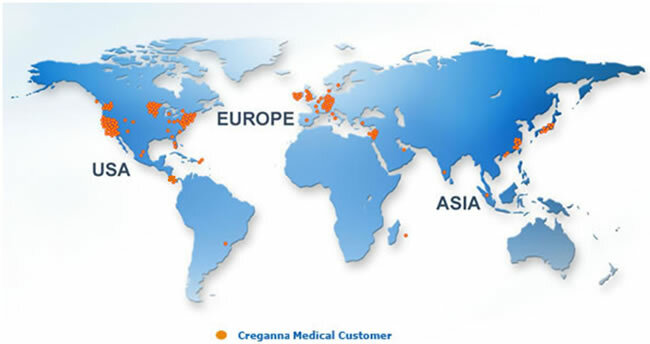 Serving over 400 customers in 30 countries worldwide, Creganna Medical is a partner to a range of innovative medical device companies from the world’s largest OEMs to emerging technology ventures. We serve all of the medical device companies in the Top 10 global industry list who operate in the minimally and less invasive medical device market. We have assisted over 200 emerging medical technology companies to make their concept products a commercial reality. Through our proven record in innovative design and reliable manufacturing, we have developed long-term relationships with all of our customers.